Fishing is a perfect way to enjoy the beautiful scenery, the comfortable temperatures and the incredible rivers and lakes of Colorado. If you’ve got questions, we’ve got answers and tips for Vail and Beaver Creek Fishing. Guides know all the local secrets! 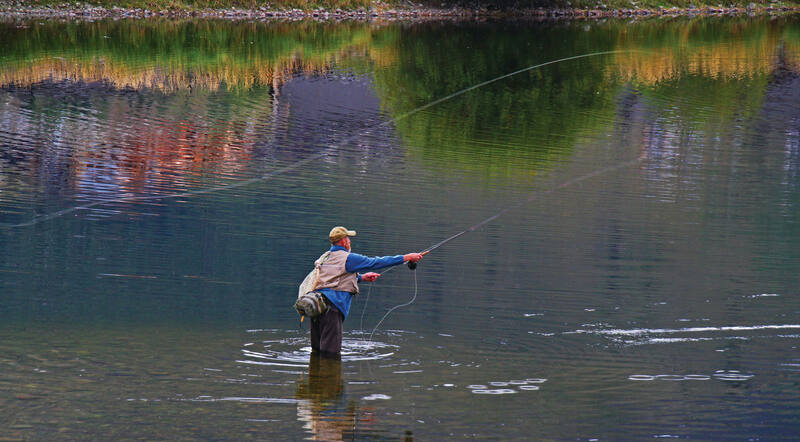 Whether you’re a never-evers, somewhat experienced or a “pro” at fly fishing, you’ll find new challenges on the gold medal waters of the Vail Valley. 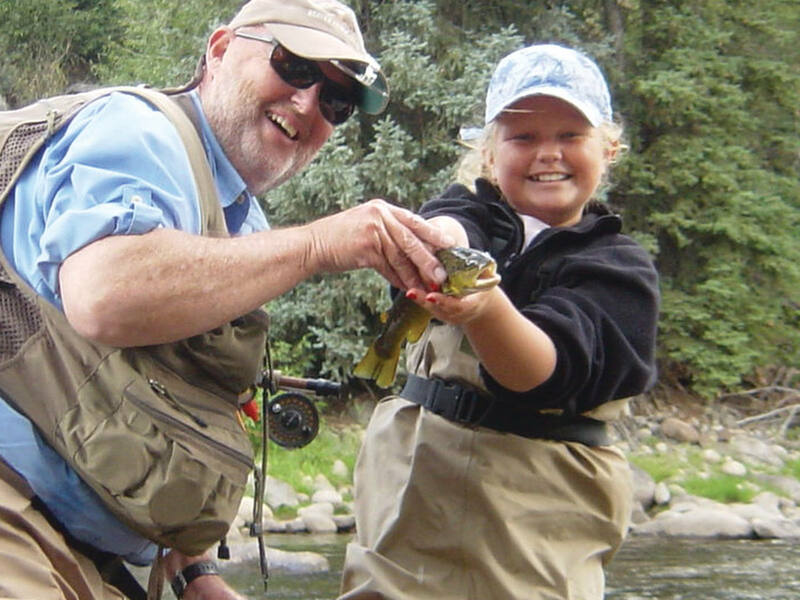 Local guides at Minturn Anglers can create the perfect trip for you – all year round. They can design a trip depending on your interests and proficiency, as well as what has worked on recent fishing trips. Your guide will know what kind of flies to use, where to cast your line and where to find the best spots. Colorado has many world class rivers and gold medal waters. Here in the Vail Valley we are within an hour or two of some of the best water in the state. The most popular are the Colorado River, Eagle River, Roaring Fork River, The Blue, The Frying Pan, and Gore Creek. If you’re looking for even more privacy, head farther afield to AJ Brink or fish Nova Guides private lake for four species of fish. Never-evers can get casting practice by attending a FREE fishing class. Minturn Anglers offers fishing lessons every day throughout the summer at their fishing shop in Vail Village’s Solaris Plaza. Stop by any day from nine to five and work on casting, pattern selection, finding good spots to fish and any other questions you have. Whether you’ve never fly fished before or just want to brush up on your technique, the expert staff will customize the free clinic for you. Fly-fishing trips come in all shapes and sizes. Float trips, wade trips, float & wade trips, night fishing, overnight trips, kids programs and custom trips are all available. The popular Eagle River, Gore Creek, Roaring Fork River and the Colorado River are only some of the sites you can fish with private spots. 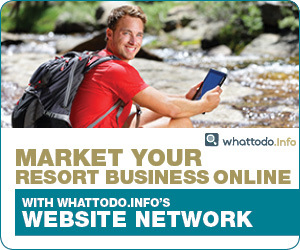 There are also many private lakes and ponds that local, professional guides have access to. 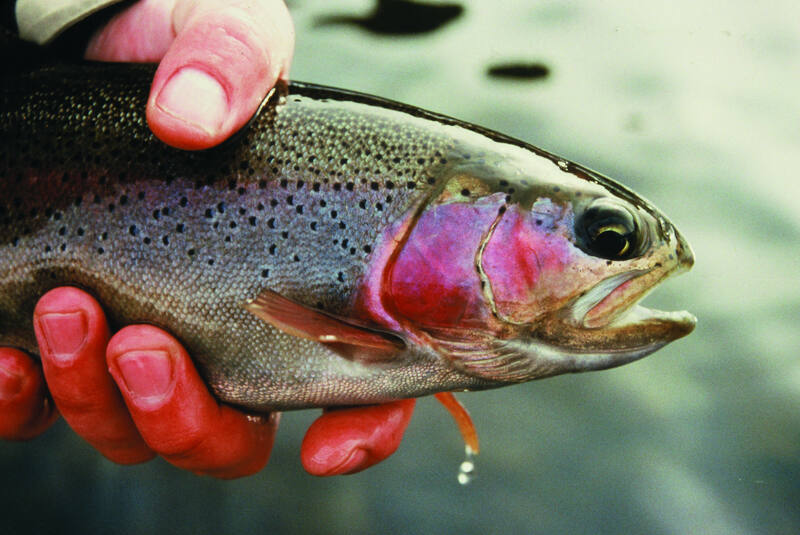 Rivers and fishing conditions change from day to day, so utilize the local daily fishing report. It covers multiple local fishing locations and the front range. You’ll get the most up-to-date information on river flow, fishing quality and professional tips. If you hire a guide, he or she will provide all essential gear, from fishing poles to waders. You’re responsible for getting your own fishing license. And you’ll definitely want to bring water, a hat, sunglasses and sunscreen. If you’re fishing without a guide, make sure to bring waterproof waders, wading boots and a hat to protect from the sun. Polarized sunglasses are recommended but not necessary. Snacks and bad weather clothing (that you can layer on and off) are also advisable as conditions change rapidly – no matter what the weather report says. Mid-July is typically the peak of the fishing season. Not only is this usually the best weather, it’s also when the Caddis flies hatch. They bounce across the water until they can take flight, and the fish love it as much as an all-you-can-eat buffet! Most of these rivers are popular for whitewater rafting – for good reason! Often, the flow is strong, the water is high, and rivers can be dangerous. This is especially true in May and June when the snow begins melting. Always take care when wading or attempting to cross mountain rivers. 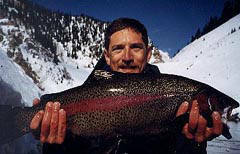 Click here to view local professional fishing guides in the Vail Valley. Rent a Bike and enjoy the scenic bike paths and exhilarating single track of Vail Mountain and Beaver Creek. Check out local bike rentals to find your next adventure. And don’t hesitate to take advantage of the incredible knowledge of the staff. Because – without exception – they’re local bikers happy to share their know-how. Want to get crafty? Vail Rec District’s Community Programming department (in the Lionshead Parking structure above the Visitor’s Center) offers Paint-Your-Own-Pottery and a variety of arts and crafts for all ages or just for kids. These are great if the weather doesn’t cooperate with your vacation plans. You’ll also find yoga and fitness classes, as well so check out the calendar of events for class times. Golfing in the Vail Valley means stunning mountain backdrops, a wide variety of courses and the unbeatable Colorado summer temperatures. Enjoy a day at Vail Golf Club or Gypsum Creek Golf Club, two of the area’s favorite courses, both open to the public. Dobson Ice Arena is one of the largest ice facilities on Colorado’s Western Slope. Big enough to host concerts, it’s open year-round for hockey, figure skating and broomball. It offers a variety of public-skate times, classes, leagues and competitions. Horseback Riding and Trail Rides are one of the best ways to take in the Colorado scenery. There is nothing more serene than getting into the beautiful backcountry on the back of a beautiful horse. Kids (and adults) love to play cowboy for the day! Click here to see all available activities in the Vail Valley or check out our special directory of kids and family activities.